It’s hard to believe summer is almost here. The days are longer. Rush hour traffic is a little easier. And you may soon have some kiddos saying, “I’m bored.” It’s funny how fast it can occur. If you have been following Blood:Water for very long, you’ve probably heard of Lemon:Aid. Over the years, hundreds of kids have taken to the street to help make a change in Africa by starting a Lemon:Aid stand! It’s so exciting to see kids at such a young age understand that kids in Africa need their help, and they step up to do something. 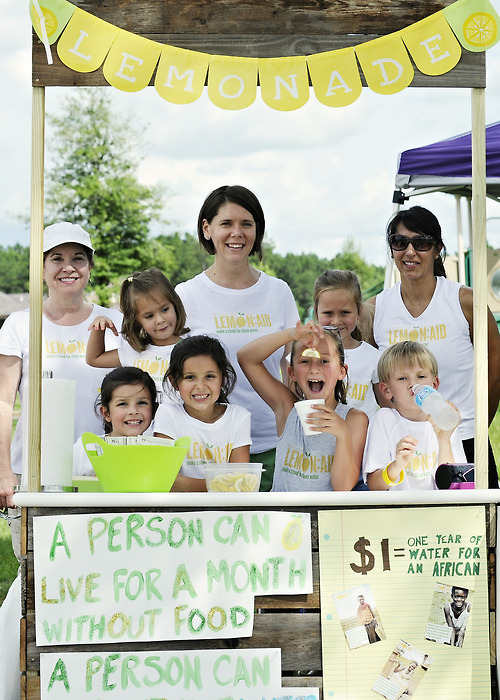 So mom and dad, before you hear, “I’m bored,” how about starting a Lemon:Aid stand. Your kids won’t be bored, they will learn about helping others, and kids in Africa will get the clean water they need so desperately. I call that a win/win/win. Set up your page here and download all the supplies you need!